On the 28th of April at almost 35 weeks pregnant we had a wonderful surprise when we welcomed our baby girl into the world. It certainly wasn’t in the way we expected and yet given the chance I wouldn’t change a thing. I had just finished up work and was enjoying my first week on maternity leave, thinking I still had a good couple of weeks to get organised I was spending the week catching up with friends and taking my dogs on long walks in the sunshine. It was on one of these walks on the Thursday that I started getting some back ache and a lot of tightening in my stomach, assuming it was just another pregnancy symptom as I was now getting bigger I didn’t pay too much attention to it. That night I was out for dinner and noticed the back ache again, this time blaming it on the chairs in the restaurant. When I got home I found I had some very light spotting, again not being concerned as it was barely off white I went to bed. I was up a couple of times in the night and this time found more spotting and a tiny little bit of what looked like clear jelly, so the next morning with the light spotting continuing I decided to call the hospital. To my surprise they asked me to come in for some monitoring. I went in and within a couple of minutes we could see that everything was fine, and our baby was happy and well. 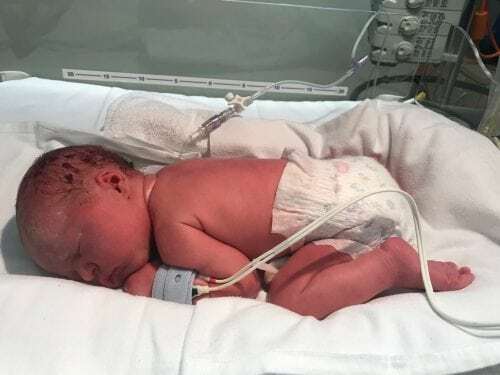 The midwife then told me that they wanted me to stay in for a little longer as the monitor was showing I was having very strong contractions and they wanted to check that I wasn’t in early labour. It was then that I realised my back ache and stomach tightening was coming and going as I was watching the surges on the screen. 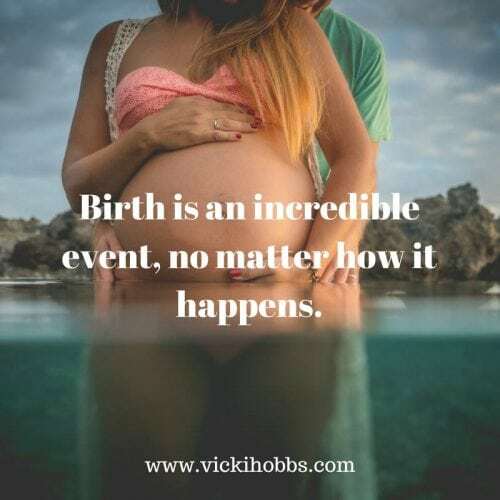 She explained that they were most probably Braxton Hicks as they were lasting for a few minutes at a time and a true contraction will only last for a maximum of 90 seconds. I stayed and after 6 hours they seemed to have settled down and as I had no more spotting I was sent home under instructions to call back if I experienced the usual waters breaking, red blood etc. I went home just in time to pick my husband Alex up from the airport, he had been away with work for a couple of weeks and was luckily coming home until the Sunday morning. I told him what had happened and we both agreed I had probably been overdoing it and should try and start slowing down a bit. At around 6pm that night I went to the toilet and found that a lot of my mucous plug had come out. This didn’t bother me as I knew that they could regenerate, and I figured it was probably caused by the strong Braxton Hicks. 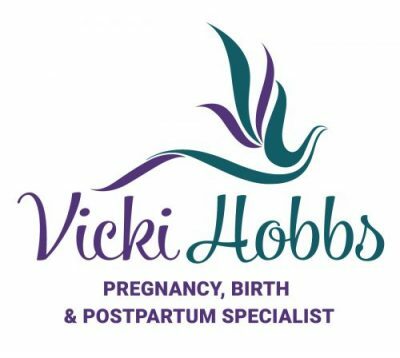 I was up a couple of times in the night with the backache and tightening in my stomach, which had now become a little more intense but when I got up and went to the toilet it would go away so again I figured it was still Braxton hicks. Around 4am the rest of my mucous plug came out (in hindsight I was clearly in early labour)! I woke up around 6ish that morning and the tightening had become much more intense and was very constant. I downloaded a labour timer app on my phone out of curiosity to see if there was a pattern to the surges, but it seemed like they were lasting for a couple of minutes, so I again figured it wasn’t the real deal. I spent the morning feeling most comfortable by stretching on the floor, forward leaning, bouncing on my fitball and doing the breathing I had learnt in my hypnobirthing class, the whole time thinking how this was great practice for the real thing! Alex was in and out of the house all morning running errands, he kept checking on me, but I kept telling him I was fine. Because I had been to the hospital the day before and knew the baby was ok I wasn’t worried at all and was just dealing with these practice surges. After a couple of hours, I found I could no longer sit on my fitball. I know I really should of realised what was going on but I think by this point I was in my own zone, so I ended up continuing my stretching, forward leaning, breathing and trying to relax and ‘flop’ my body in my bathroom, mostly sitting on the toilet as this is what Vicki had suggested in our classes and this is where I felt most comfortable. The surges were getting quite intense, I felt nauseous and vomited a couple of times. I considered taking a Panadol as at the hospital the previous day they told me if a Panadol helps then it’s not real labour, so this could be a good test. I popped one out of the packet then remembered Vicki my hypnobirthing teacher saying how paracetamol taken in early labour may prolong early labour, so I thought again and didn’t take it. Alex came in to check on me and I noticed some red blood in the toilet. It certainly wasn’t a lot, but we decided it warranted a call to the hospital. Of course, they asked me to come in. The only problem now being I didn’t know how I was going to get into the car, as by this point I was even hovering over the toilet finding it too uncomfortable to sit down. I told Alex to give me 5 minutes to get myself sorted. At this time, I certainly didn’t feel an urge to push like I’d been told some people feel but I did have a thought of ‘I wonder what would happen if I did bear down?’ So, I decided to breathe down, as my breath came out so did a deep strange noise that I did not intend to make. I remembered being told about this in class so now it finally all made sense – the baby is coming! Alex called an ambulance and I got off the toilet onto all fours and pulled some clean towels onto the floor. The only concern I had was if I had a prolapsed cord as I knew this was rare but dangerous, so I asked Alex to have a look if he could see the cord, which he couldn’t so then I was completely at ease. It was now just before midday, we had the 000 operator on speaker phone and we heard a pop – my waters broke, then just like in the movies in came the paramedics to take over. The paramedic suggested I go onto my elbows, which I did and with another breath bearing down her head popped out. I felt amazing! It was the best I had felt all day! The paramedic asked me to do the same again when I felt the next contraction, but I honestly didn’t feel any, so I just took another breath and literally breathed her out. She was a tiny 2.45kg and came out screaming. We asked the paramedics not to cut her cord until it went white, which they were happy to do and so they did a few other checks on her while I was having skin on skin. Alex then cut the cord and we made our way to the hospital. In the ambulance she started breastfeeding. When we got to the hospital we were met by a room full of people. 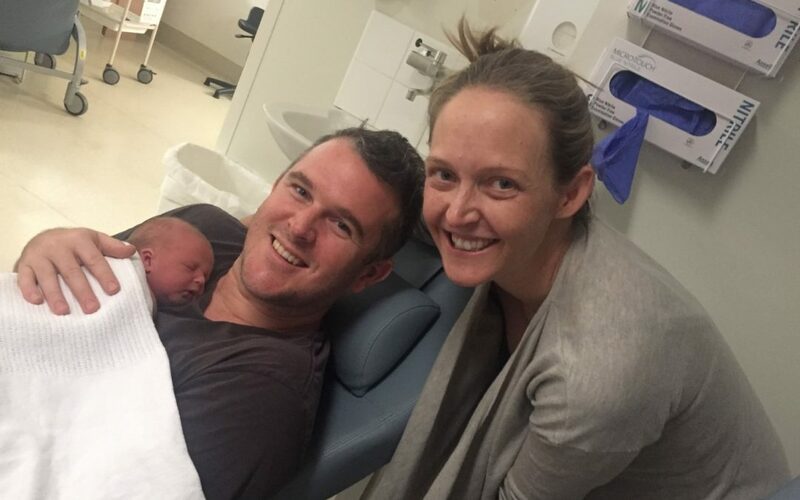 Zoe was quickly taken by the paediatrician who seemed surprised at how well she was doing considering she was not quite 35 weeks. It had now been about an hour since giving birth. I wasn’t having any surges but knew the obstetrician wanted my placenta out so to avoid an injection I took another breath, bared down and out it popped! I needed a couple of stiches for a ‘graze’ which was completely healed within a couple of days. Zoe was taken to the neonatal ward where she had to stay for 3 days. She was perfectly healthy and like a bright red tomato thanks to having the delayed cord clamping. She only needed to be treated for a little bit of jaundice and low blood sugar then had to sleep on a heated blanket for a couple of days to help maintain her temperature. I never wanted to have a home birth, but I am so grateful that I did. Had I made it to the hospital in time with her being premature I wouldn’t have had the delayed cord clamping or initial skin on skin time that I had with her. 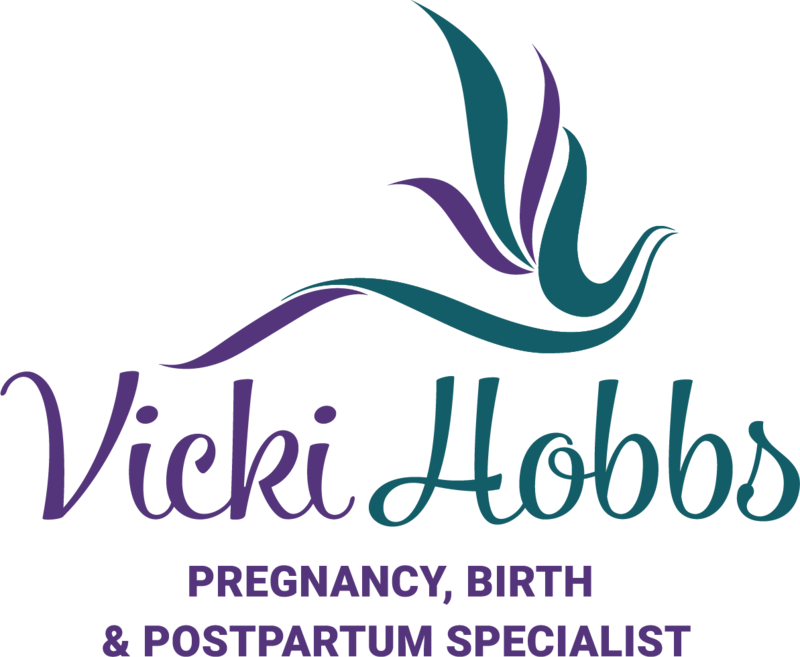 I am so grateful that I had attended the Hypnobirthing Australia classes taught by Vicki as even when I realised that I was having the baby I honestly had no fear at all, I felt completely in control and that I knew exactly what to do. Alex hadn’t attended the hypnobirthing classes as he had been away but this didn’t seem to matter as I believe because I was so calm he was too. I know its easy for me to say as I had a tiny 2.45kg baby and everything went very smoothly but I really feel like my baby and body did all the hard work and literally all I had to do was relax and breathe.